I remember my first year of college. Going into the bookstore to buy my textbooks, and bringing them home thinking, "Oh my god. These books are huge. There is so much information here. There is no way I am ever going to get through it all." But I did. I still have all of my college textbooks. And every now and again, I find myself returning to those texts as a reference. The Vegetarian Flavor Bible by Karen Page is the textbook I'd imagine would be passed out on the first day of class in a plant based cooking school. I mean it's huge! 554 pages of hardcovered glory, complete with a ribbon page marker. This book is definitely a reference text. When it arrived in the mail from the publishers for review, I was flipping through the pages, thinking, "Whoa. She ain't messing atound!" And she isn't. Karen Page has an entry for everything in this encyclopedic style text. It's quite an undertaking. 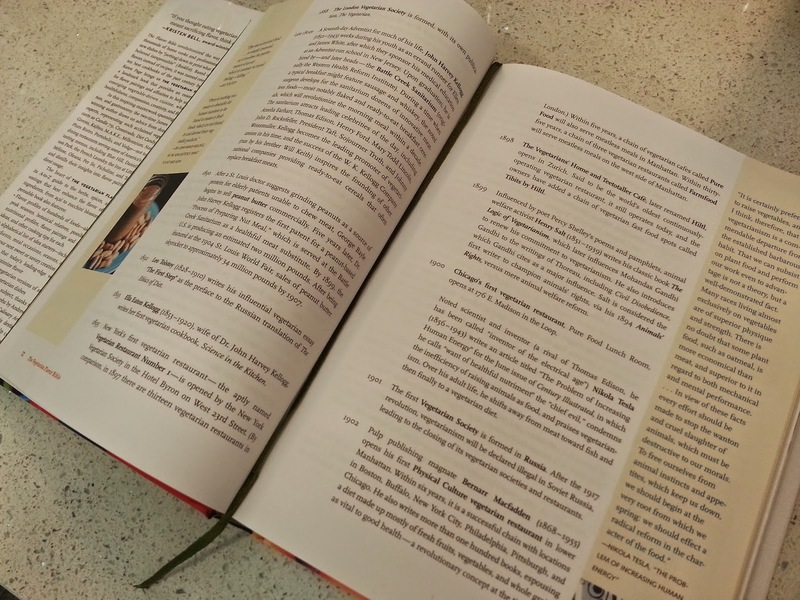 Almost unbelievable how much work must have went into creating such a tome. Admittedly, it's not a vegan book. It does have information about vegetarian ingredients like eggs and dairy. But, it's also not a cookbook, so it's still (and definitely!) a very useful kitchen companion for the vegan cook. It's not the type of book you read like a romance novel. That's for sure. But I know this book will get plenty of use in my kitchen. So far, from what I've written, you still have no idea how this book reads, so let me be a little bit more descriptive about the contents. The book begins with a lengthy introduction that talks about a transition to a plant based diet, and includes some recommendations by Dr. Campbell and Dr. Esselstyn. It is in the intro that the author also tells us that she is lactose intolerant. And although she does include eggs and dairy as food sources in this intro, she also points out that both doctors recommend avoiding both. Following the introduction, is Chapter 1, For the Love of Plants: Vegetarianism Through the Ages. A literal timeline of vegetarianism dating back to 3000 BC! FIlled with facts, stories, interviews, and quotes, it is a fascinating read. Next up is Chapter 2, Maximizing Flavor: Creating a New, Compassionate Cuisine. This chapter approaches flavor in an almost scientific way. Speaking about how different testures, aromas, and even mouthfeel affect the overall flavor of foods. Combining history, science, and skill from chefs all over the world. How do these different skill sets, techniques and methods affect vegetarian cuisine? And finally, Chapter 3, Vegetarian Flavor Matchmaking: The Lists. 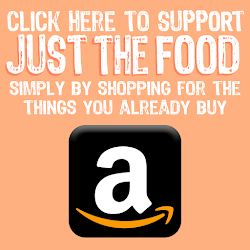 This is whhere you will find an alphabetical list of every ingredient and cuisine you can imagine. And with each entry comes a flavor profile, nutritional breakdown, techniques for preparation, possible substitutes or botanical relatives, and flavor affinities (other ingredients and flavors that pair well with said ingredient). In otherwords, when you get that CSA box and you don't know what to do with those turnip greens, just look up "Greens, Turnip" which happens tobe on page 277, and learn how to prepare them and what other foods taste good alongside them. In this case? Simple blanch then saute them with garlic, lemon, olive oil and onions. See how helpful that was? And there are entries for just about everything you could imagine. Szechuan peppers? Check. Buckwheat Sprouts? Yep. Wakame? Of course, silly! What I particularly like, is that in addition to ingredients, this massive resource also includes flavor profiles (look up sourness or umami) and cuisines (such as Southwesy or Ethiopian) for tips and ingredients that work well with each. 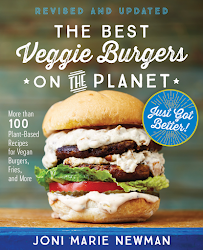 Overall, I definitely recommend that every cook, vegetarian, vegan or omnivore, pick up a copy of this book. It will prove invaluable in my kitchen, especially as I am preparing and testing new recipes and trying out new ingredients. The publishers were kind enough to offer a giveaway to one lucky reader (limited to residents within the US only this time) so follow the instructions in the widget below to enter for a chance to win. My most important reference guide is probably pinterest. My most important reference guide is my sister! 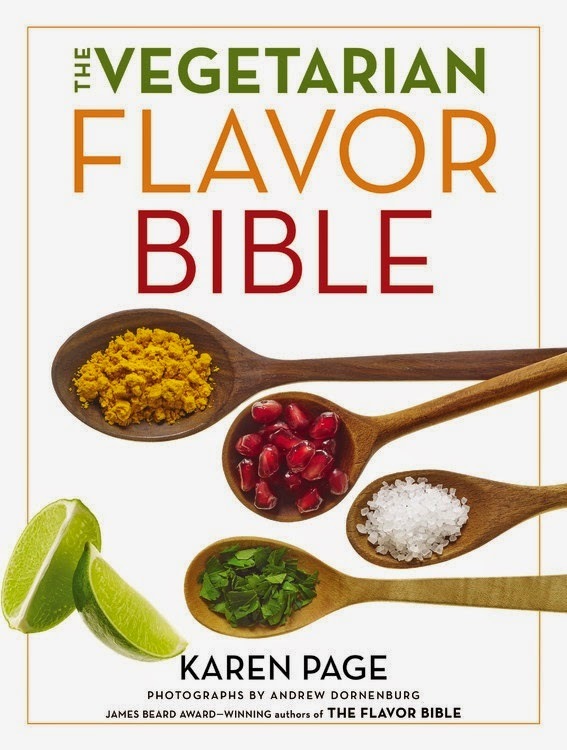 I loved the original Flavor Bible for all of its brilliant flavor pairings, and have been dying to get my hands on the wholly vegetarian version now. When I was just starting out as a vegan though, the classic Vegan with a Vengeance was indispensable for me. 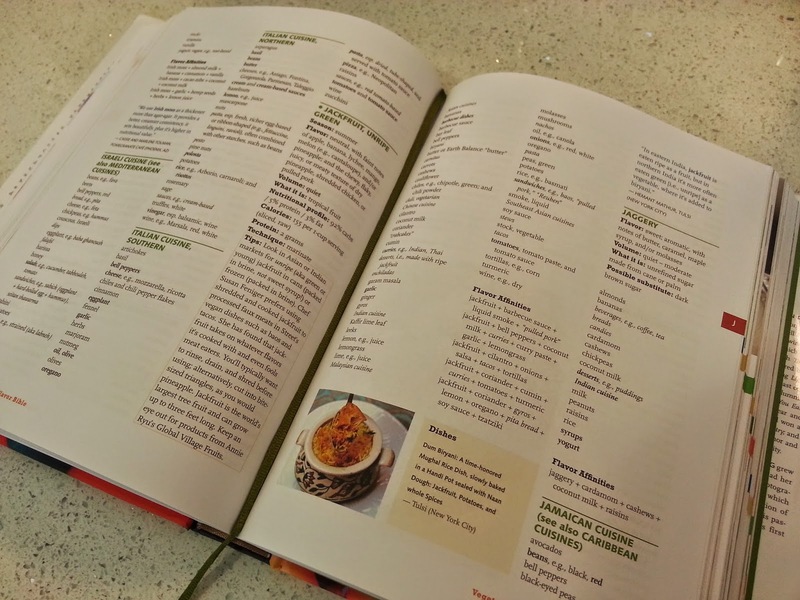 I love food reference books! Food Lover's Companion and The World's Healthiest Foods are two I enjoy browsing, though neither is veg. This book sounds great. I so need this! Right now, my sister has been my go-to person for a few recipes. Otherwise, I have been mostly been buying processed microwaveable vegetarian food. I want to switch over to a more healthier homemade food plan.This would be such a help! I've been a vegetarian for a little over a year and I'm still learning. My friends and the internet...just searching and searching for information. I took a peek at this book at the library - what an amazing amount of information that looks really helpful! The internet (and a copy of Veganomicon) was my guide as I transitioned from vegetarian to vegan. Way back in the day, as a new vegetarian, the Moosewood cookbook was my best friend. The internet has definitely been my biggest reference guide. 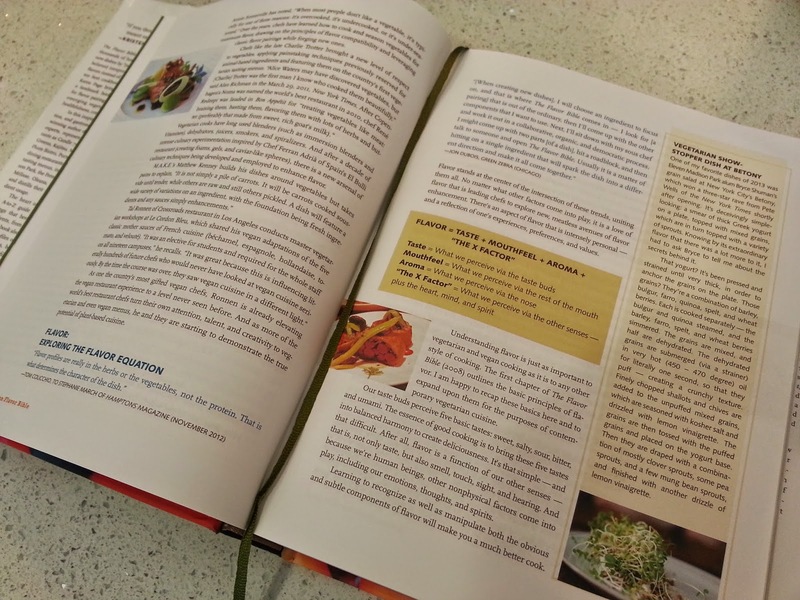 I've never used anything that could compare to the vegetarian flavor bible, and usually discover new cooking methods and flavor combinations by exploring new recipes. This book looks awesome! The best resource I use is "Madhur Jaffrey's World Vegetarian: More Than 650 Meatless Recipes from Around the World" and well, the internet! The most important reference has been the internet and the e-book Why We Should Go Vegan by Magnus Vinding. This looks amazing. I am so bad at flavor pairings, I can't wait to use it! 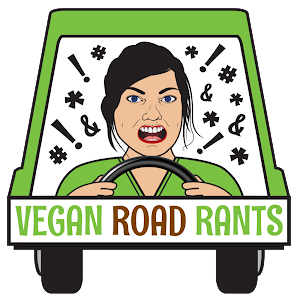 My best sources for vegan cooking have been Oh She Glows and Happy Herbivore so far, but there are tons of resources out there. I love The Kind Diet.